Positive selection is one of artificial immune approaches, which finds application in network security. It relies on building detectors for protecting self cells, i.e. positive class objects. Random selection used to find candidates for detectors gives good results if the data is represented in a non-multidimensional space. For a higher dimension many attempts may be needed to find a detector. In an extreme case, the approach may fail due to not building any detector. This paper proposes an improved version of the positive selection approach. Detectors are constructed based on self cells in a deterministic way and they are stored in a binary tree structure. Thanks to this, each cell is protected by at least one detector regardless of the data dimension and size. 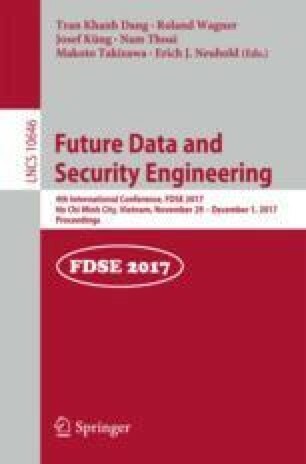 Results of experiments conducted on network intrusion data (KDD Cup 1999 Data) and other datasets show that the proposed approach produces detectors of similar or better quality in a considerably shorter time compared with the probabilistic version. Furthermore, the number of detectors needed to cover the whole self space can be clearly smaller. This work was supported by the grant S/WI/3/13 of the Polish Ministry of Science and Higher Education. The author would like to thank Andrzej Chmielewski for fruitful discussions on artificial immune systems.